Hola Lexicans! A while ago, I read and reviewed the amazing Holly Smale's Geek Girl: Picture Perfect (book 4 in the series) and then actually got to have a mini interview with Holly Smale, the author of this amazing series. 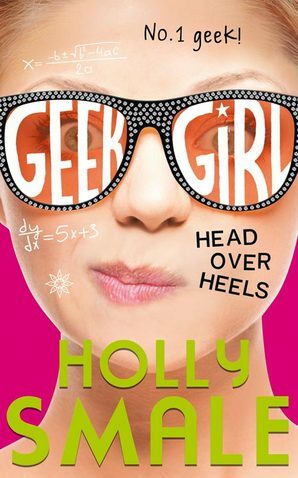 Last month, Holly released a fifth book in the Geek Girl series, which I'll be reviewing today. Geek Girl: Head Over Heels is the perfect book for anyone who likes loveable characters and a laugh-out-loud story. The GG series are really easy to read and don't require much thought, so if you're the kind of person who prefers a less thoughtful book, then I would recommend GG: Head Over Heels. (By the way, I'm totally a lover for thought-provoking books, but once-in-a-while I like a funny story with great characters). These books don't really have much of a plot, but I love the characters so that makes up for it. Also, this book has a similar style of writing to books like Dork Diaries and Diary Of A Wimpy Kid, so if you have read and enjoyed either of those, I will definitely be recommending that Geek Girl goes on your TBR list. Have any of you read this book already? Have you read any of the other Geek Girls? I'm back soon with a review of the Young Driver centres which I went to. I have seen this book around quite a bit and really want to read it!